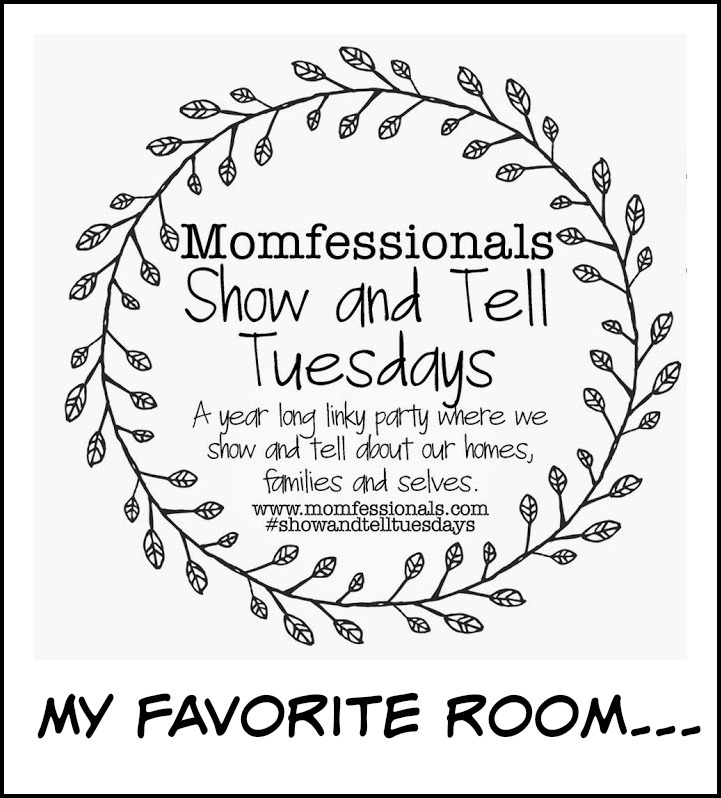 Momfessionsals is a new to me blog, but I have really enjoyed the Show & Tell Tuesday posts, so I decided it was time to join in. This week's theme is My Favorite Room. It was hard to pick just one room, but I had to go with my kitchen. It is the room I spend the most time in each day, and the room that everyone seems to gather in. Don't be fooled by the pretty pictures. This table is usually covered in snacks, puzzles, and legos. My favorite part of the kitchen is our back splash. Our little coffee corner. We drink a LOT of coffee in this house. 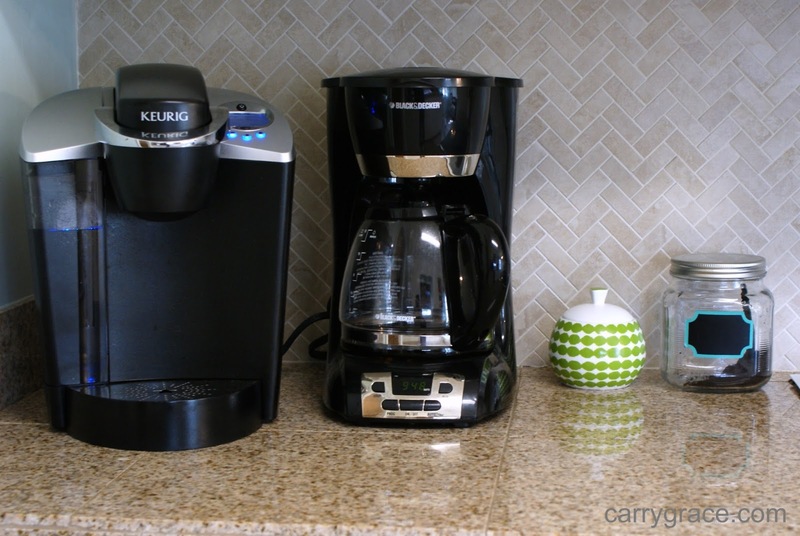 We use the Keurig every night and I sometimes use it to make an iced coffee in the middle of the day, but my husband likes to make a big thermos of coffee to take to work each morning. This is my pantry. You can take a peek inside here. I recently got it all organized again. That wraps up my favorite room, but first you must see a before picture so that you can appreciate how far it has come. 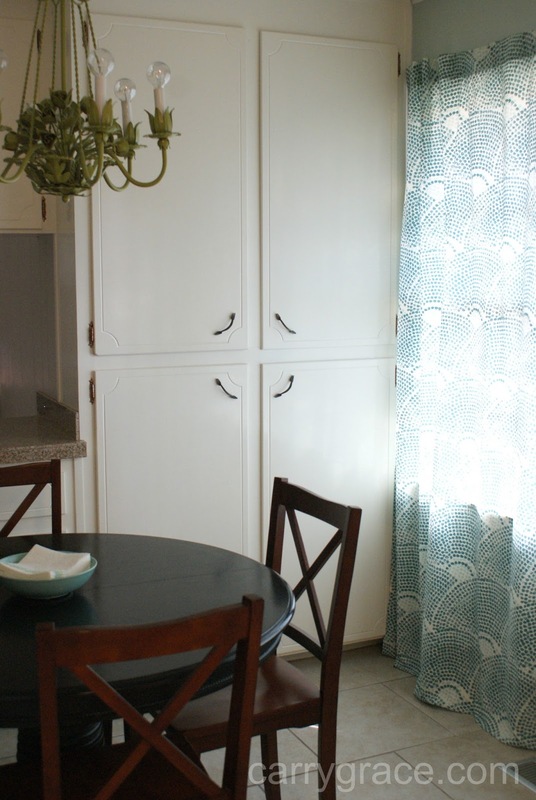 Floral wallpaper and copper blinds anyone? This is such a gorgeous kitchen! 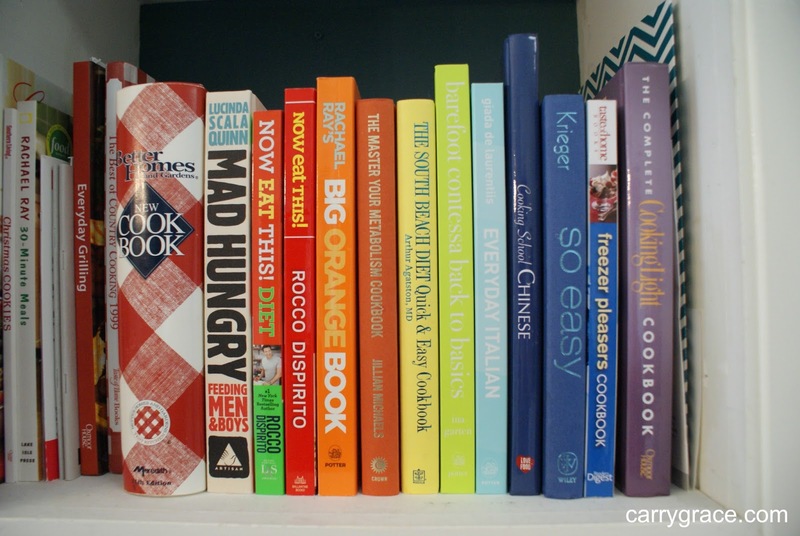 And I LOVE how your cook books add a rainbow pop of color! They seriously look so beautiful up on that little shelf. 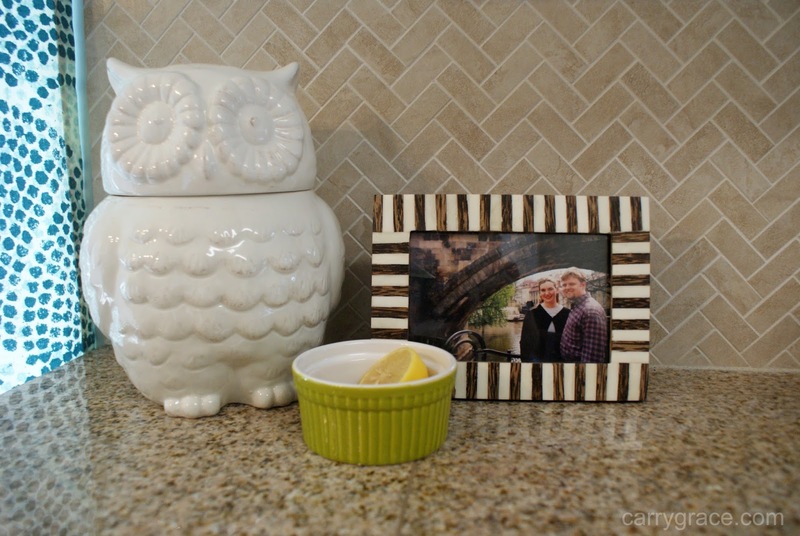 I love your backsplash, too! So pretty! Nikki! Thanks for commenting and stopping by my blog! 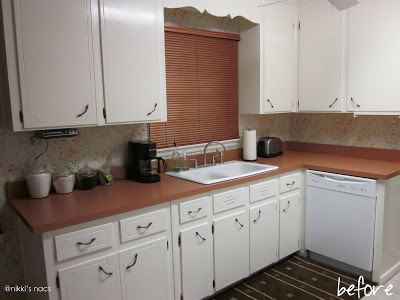 I absolutely love your kitchen! Your greens chandelier is so fabulous! 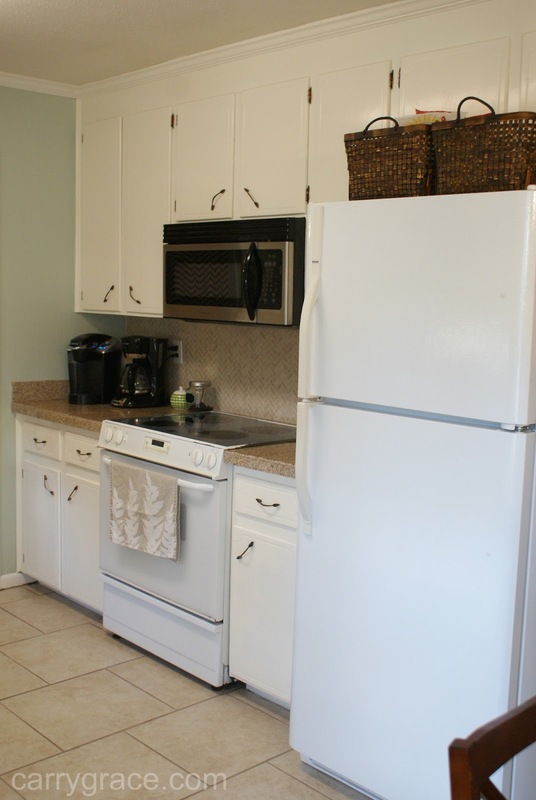 I am a huge fan of white cabinets too! 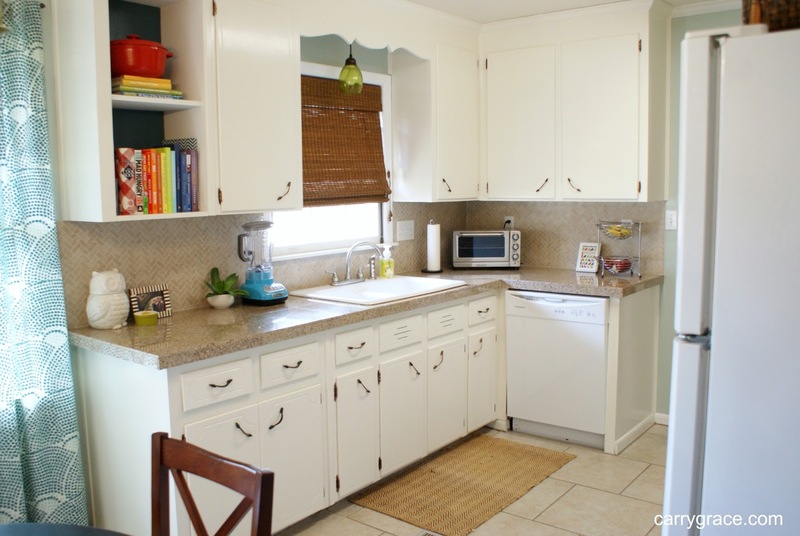 It is such a cheerful and clean space! Oh my goodness...is that Better Homes & Gardens cookbook not the very best?!! I got it 24 years ago when I got married the first time and it's one of the only cookbooks I still have. 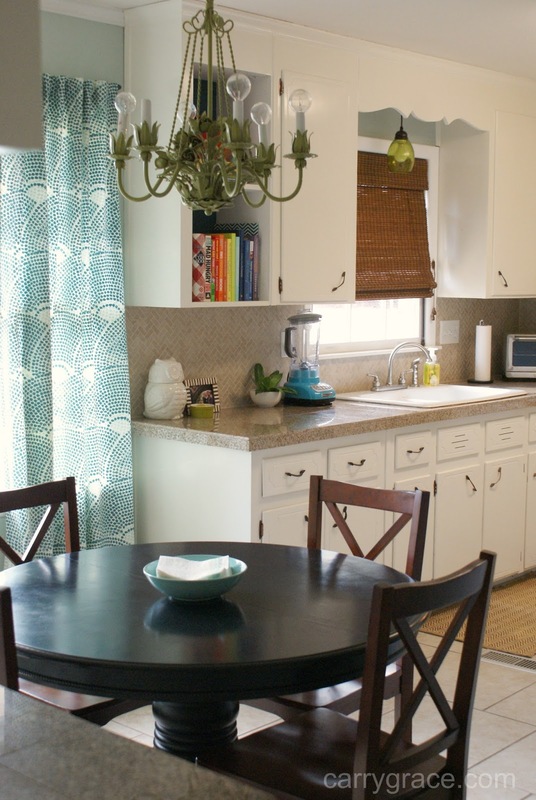 The kitchen is such a great gathering spot.